The Watford Bridge of Peace is a project from the Women’s Federation for World Peace an international non-profit organisation established for the purpose of contributing to world peace through service, education and reconciliation. WFWP is calling women to look beyond their homes, their religions, their races and their nations, to bind together to make this world a better and safer place for the present and future generations. Beside the Sisterhood ceremonies, the Watford Bridge of Peace hosted a variety of talks on the Dignity of Women, Family issues and Interfaith dialogue in order to empower women as ambassador for peace in the family and the community. 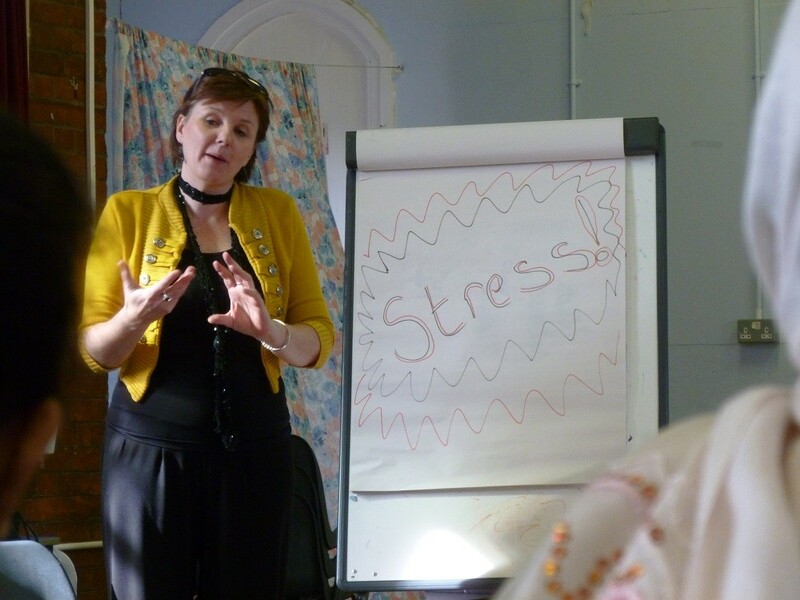 Last year, the Watford Bridge of Peace hosted an information afternoon on ‘Mental Health Today’. Professional speakers gave us some comprehensive facts on the topic and also links to very useful help lines. Following the success of that meeting we decided to continue with the same issue and explore methods to keep good mental health in our daily life. Mental health is often talked about in the media. Dealing with mental illness is very challenging for those who suffer from it and for their families. The increase in mental health issues especially among young people is alarming. Young people are bullied on social media, self-harm and even commit suicide. The Watford Bridge of Peace decided to take on the topic and invited some professionals to give us information on the issue and the services available. 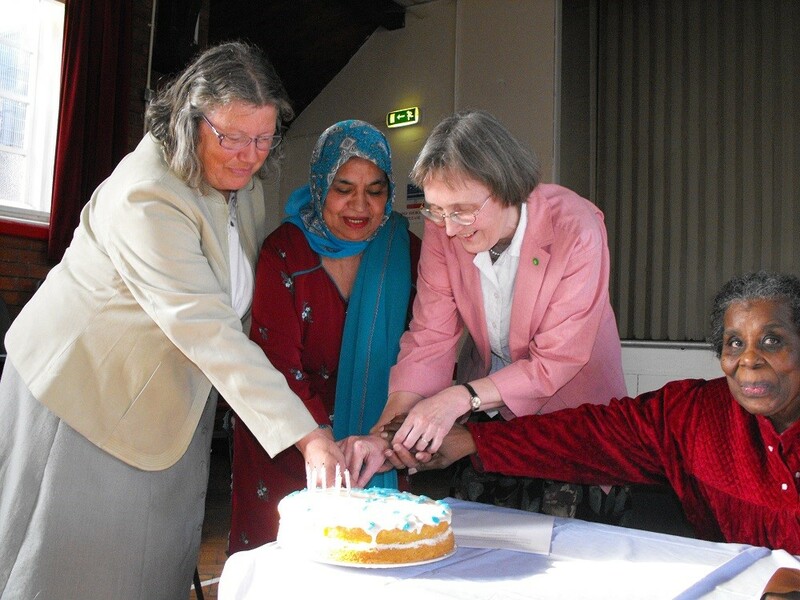 It has been twelve years since the WFWP Watford started its first Bridge of Peace bringing together in sisterhood ceremony ladies from the Christian and Muslim community. This Sunday March 22, we gathered together for an afternoon tea and to catch up with each other. Among the ladies presents some of them had participated in our first Bridge of Peace in 2003. With time, our bonds with each other have grown and deepened to great affection and sisterly love. How can we help our young people? 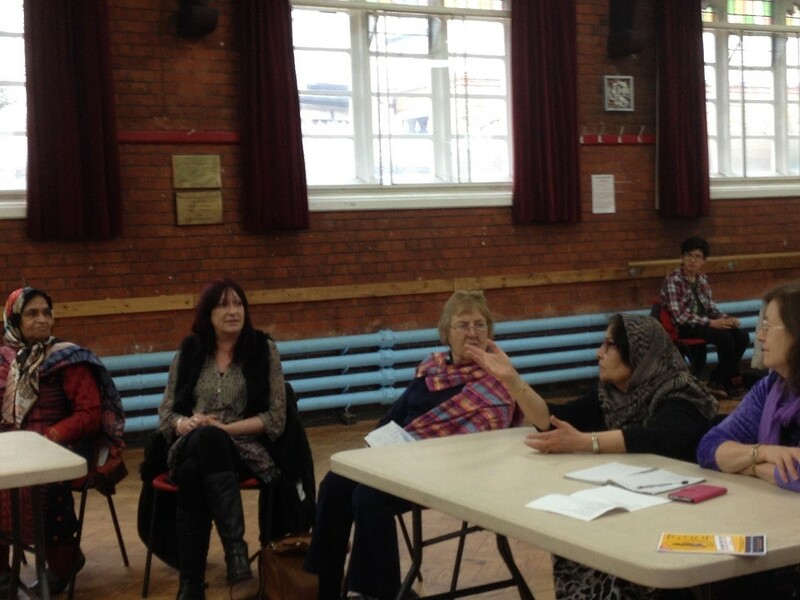 The ladies of the Watford Bridge of Peace met on Saturday 19th March at the Multi Cultural Community Centre. After an introduction to the Watford Bridge of Peace, Françoise mentioned about the celebration of International Women’s Day and introduced our guest speaker, Angie Green, outreach worker at the Watford Women Centre. 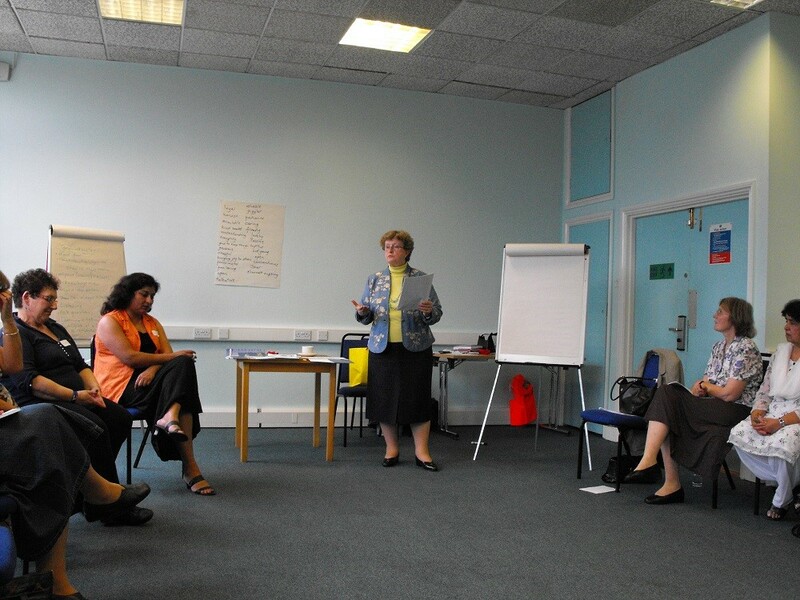 Angie gave an overview of all the many valuables services the Women’s Centre offer to the women of Watford, services like careers advice, computer and language courses ESOL (English Speakers for Other Languages), support and counselling to women going through traumas e.g. domestic abuse and more. 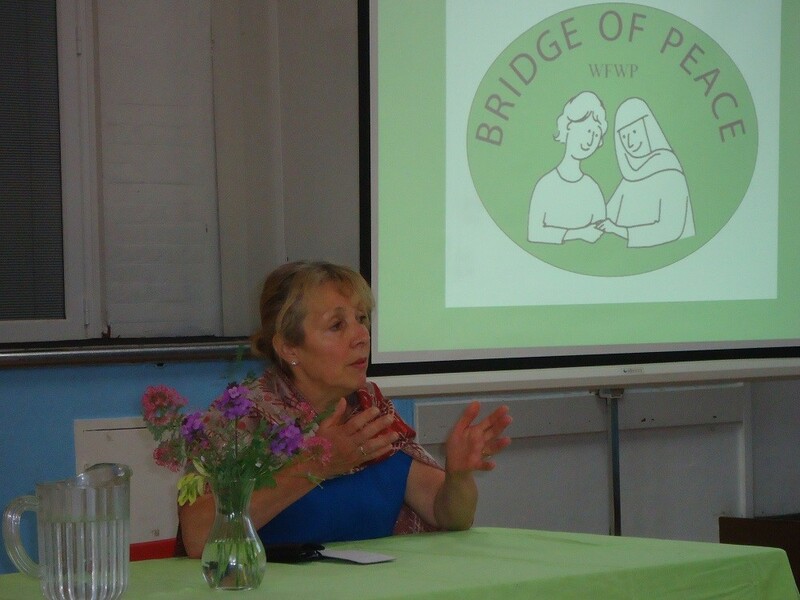 The Watford Bridge of Peace met on Sunday July 6th for a discussion on “Women’s Unique Value, Building Self Esteem”. It had been a while since the ladies of the Bridge of Peace had all come together at the Multi Cultural Community Centre. We had met on other occasions for example in town for a cup of tea, at the Watford Celebration, the interfaith Pilgrimage and more. It was good to see each other again. Should Women take more Responsibility in our Society? 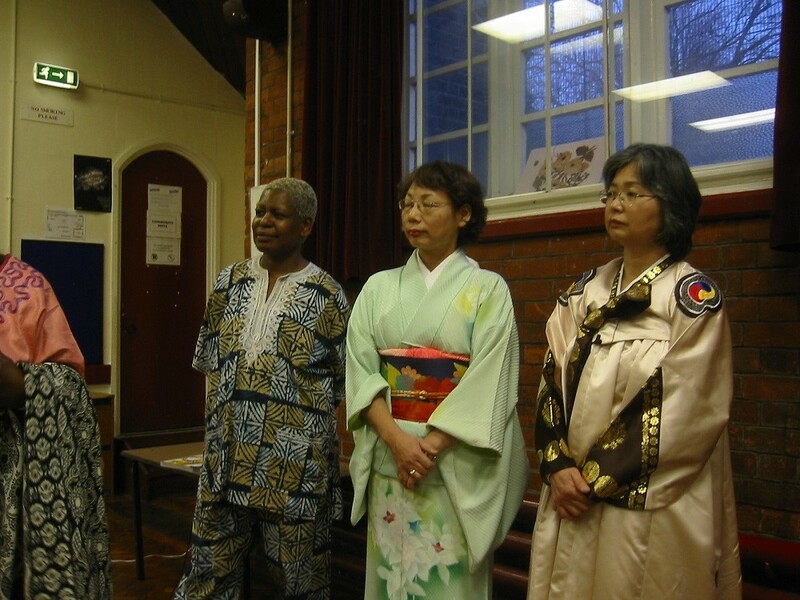 On Saturday the 16th of March, we celebrated the 10th anniversary of the Watford Bridge of Peace at the Multi Cultural Community Centre in Watford. 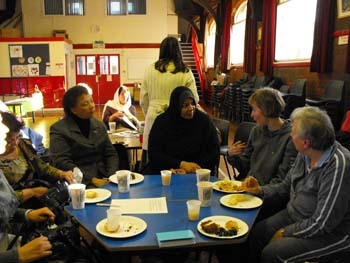 Ten years have passed since women from the Christian and Muslim community made the commitment to become peace sisters and learn about each other’s faith and traditions. What an amazing journey of discovery and friendship, welcoming on our way women from African Caribbean and Asian backgrounds, we ended up celebrating the rich diversity of the whole town with the Watford Celebration. On Sunday 25th March, we celebrated the ninth anniversary of the Watford Bridge of Peace. We could not believe it! Nine years already had passed since that first Bridge of Peace ceremony between Christian and Muslim women. It was lovely to see all the ladies (over 25 ladies) who had been connected to the Bridge of Peace over the years. Our special guest, the Elected Mayor of Watford spent most of the afternoon with us. Our Mayor had been a wonderful support of our activities since our first meeting in 2003. On Sunday, 27th March, the Watford Bridge of Peace celebrated its 8th anniversary at the Multi-Cultural Community Centre in Watford. We started the afternoon with one minute of silence sending our love and prayers to all the victims in countries recently afflicted by wars or natural disasters. 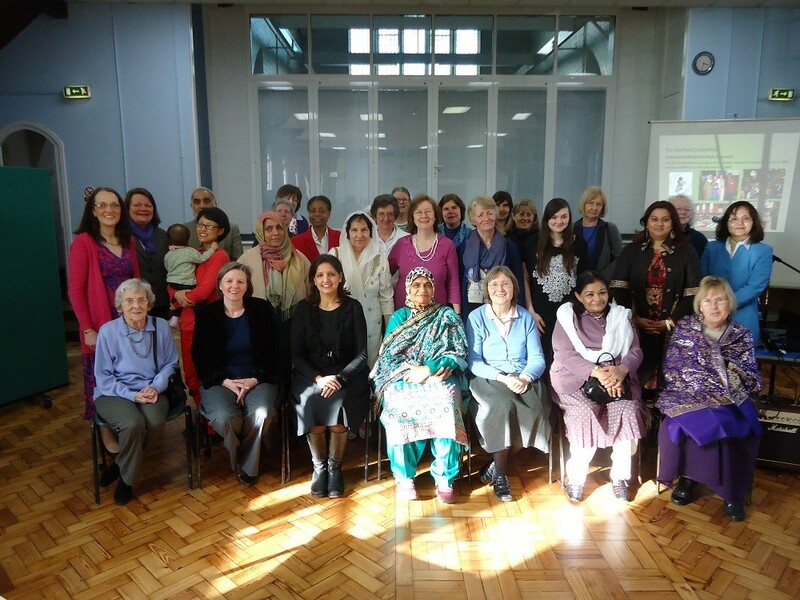 Around 40 ladies from the various Watford communities including Pakistani, Malaysian, Japanese, European and Eastern European, British, African Caribbean and more came together and discussed a common topic of interest and significance: “Women, Mother and Family”. On Sunday 7th March, the Watford Bridge of Peace celebrated its seventh anniversary at the Multi- Cultural Community Centre in West Watford. The theme of our anniversary this year was about motherhood: ‘Women Life- Bearers”. We were privileged to have 3 dynamic speakers from the Christian, Muslim and, for the first time at the Bridge of Peace, a wonderful speaker from the Jewish community. On Saturday 21st March, the Watford Bridge of Peace (BoP) celebrated its 6th anniversary at the Multi Cultural Community Centre (MCCC). Many ladies of the original Bridge of Peace between Christians and Muslims were present that afternoon together with those who joined later on from other communities around Watford. 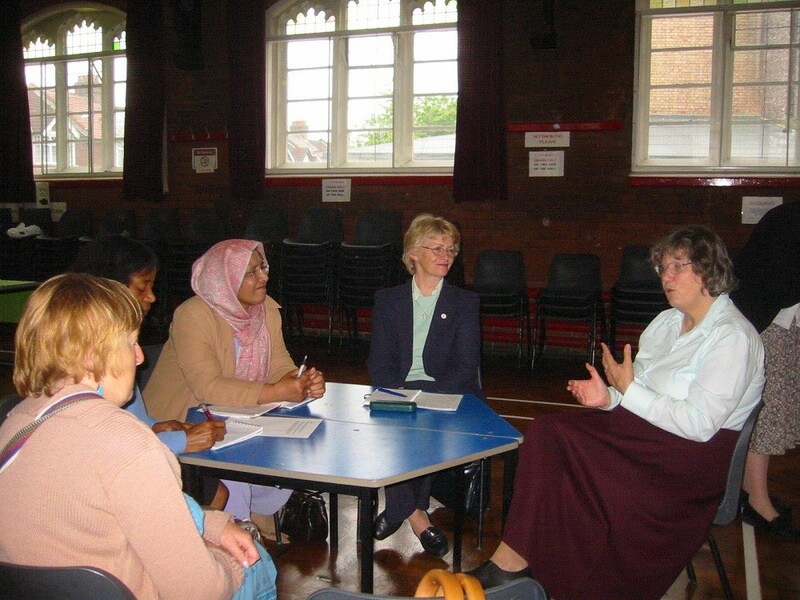 Last year, the Watford Bridge of Peace WFWP received a grant from the Home Office for its work of bringing together women from different backgrounds and especially for reaching out to women from the Muslim community. The grant was spent on 4 projects: a seminar on the Dignity of Women and the Fashion today, the celebration of both Christmas and Eid, a day trip for Christian and Muslim women to St Albans Cathedral and the celebration of the fifth anniversary of the Watford Bridge of Peace. 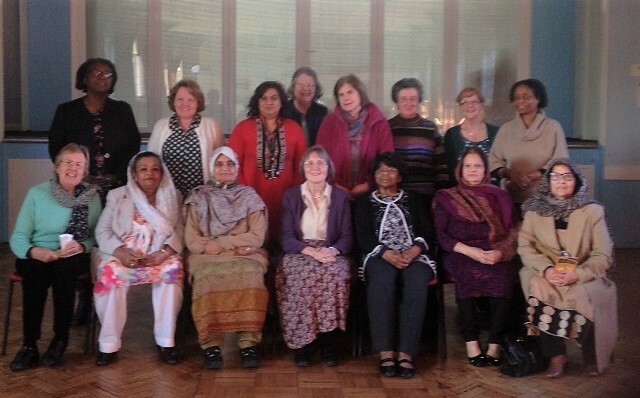 In early June of this year the Bridge of Peace had organised a forum on the “Dignity of Women” that was well attended by women from the Christian and Muslim community in Watford. One of the speakers on the day, a Muslim lady, expressed the desire to expand on the topic by relating it to the way we dress the fashion of clothing. The idea was well received and a follow up meeting on “Fashion Today and the Dignity of Women” was organised. 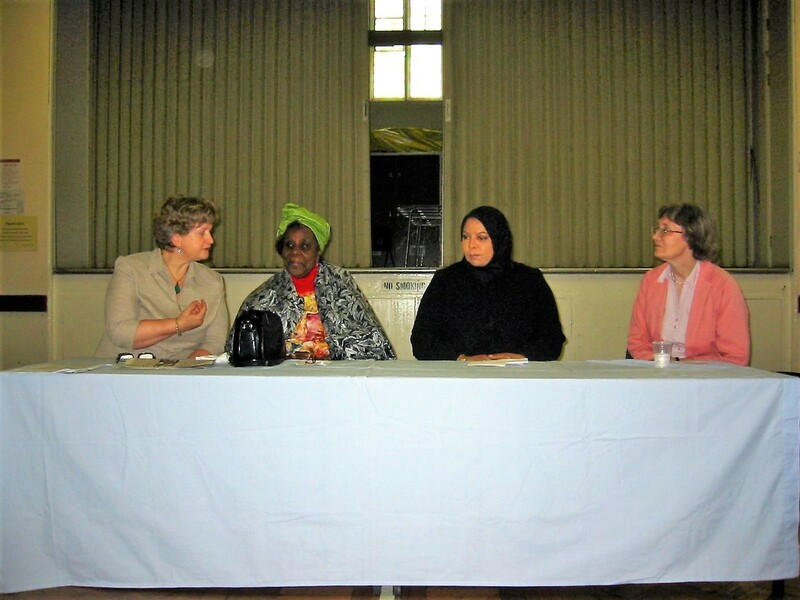 Since its fourth anniversary dedicated to the commemoration of the abolishment of the slave trade when we welcomed our sisters from the African Caribbean community, the Bridge of Peace has opened up from a solely Christian and Muslim women group to a wider group of women from all backgrounds. On Saturday June 30th the Bridge of Peace decided to organise a forum on “the Dignity of Women”. How can we care for our teenage children today? 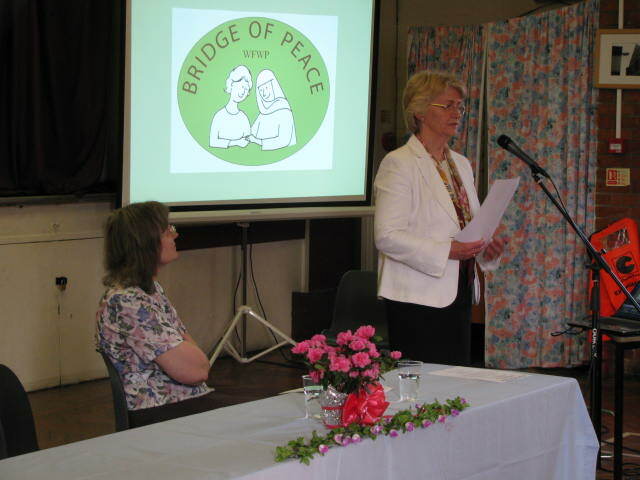 On Saturday June 24, the Bridge of peace hosted their second forum on the Family. This time the topic was on how to care for our teenage children. Three young girls 16 to 19 years old were invited to share their concerns and their challenges dealing with the pressure of today society. 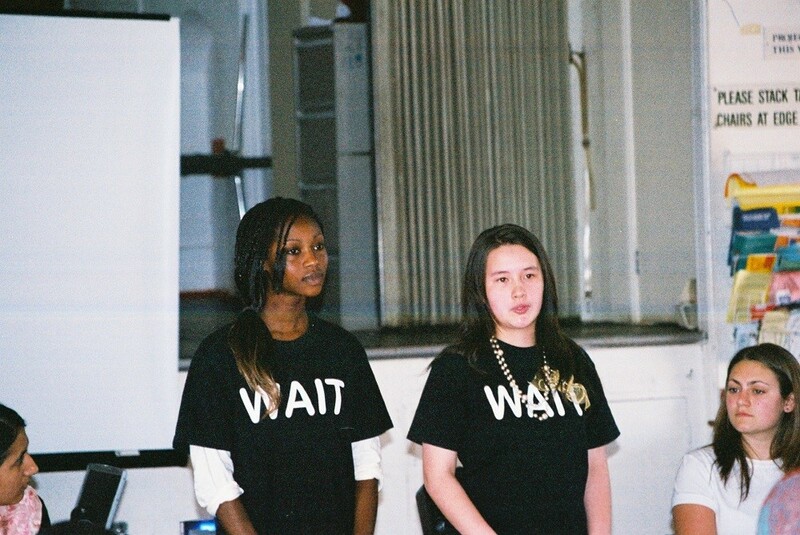 Maia from the Latter day Saints Church, Shamala from the Muslim community and Erena from the WAIT a performance-based charity that helps young people prevent catching HIV/AIDs and other STIS. The State of the Family Today. 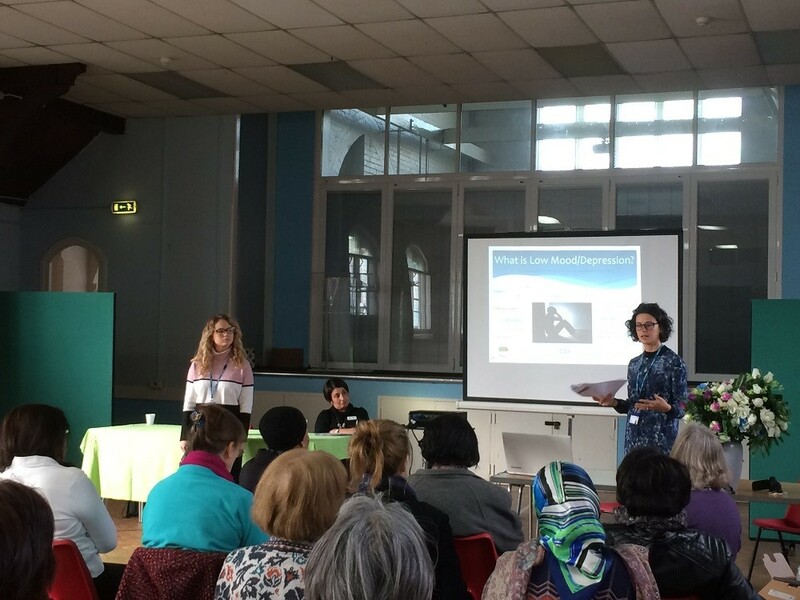 On Saturday 13th May, The Women’s Federation for World Peace, Bridge of Peace, hosted a forum on ‘The state of the Family today’ at the Multi Racial Community Centre in Watford. After welcoming everyone, Françoise Murphy, coordinator of the Bridge of Peace, explained about the 2 main objectives of the WFWP: reconciliation through the Bridge of Peace ceremonies and promotion of family values. Peace can only be achieved by overcoming the walls of religions, cultures and races and by resolving the problem of the break down of the family. We all need to be Ambassadors for Peace in our families and communities by practicing selfless love and living for the sake of others. After the event in London of the 7th July bombing in 2005, there was a real need to answer questions and clarify the relationship between these terrorist attacks and Islam. We met Mr Riaz Hussain from Muslim Action Forum, an educational organisation which gives talks in schools and organise exhibitions in order to give the opportunity for people to understand about the Islamic faith. Copyright © Watford Bridge of Peace.